Wedding gowns were nothing new for Zoey Scheer. 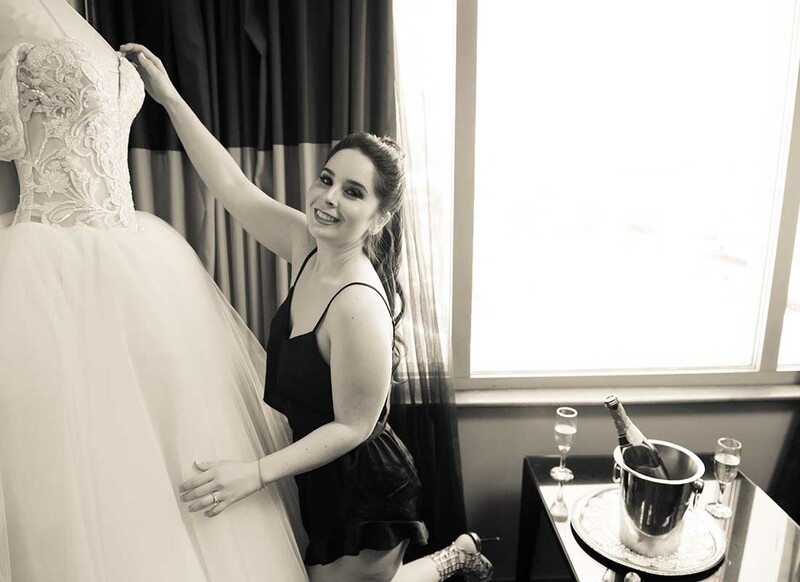 Being a headpiece consultant at Kleinfeld Bridal has exposed Zoey to the world of bridal. 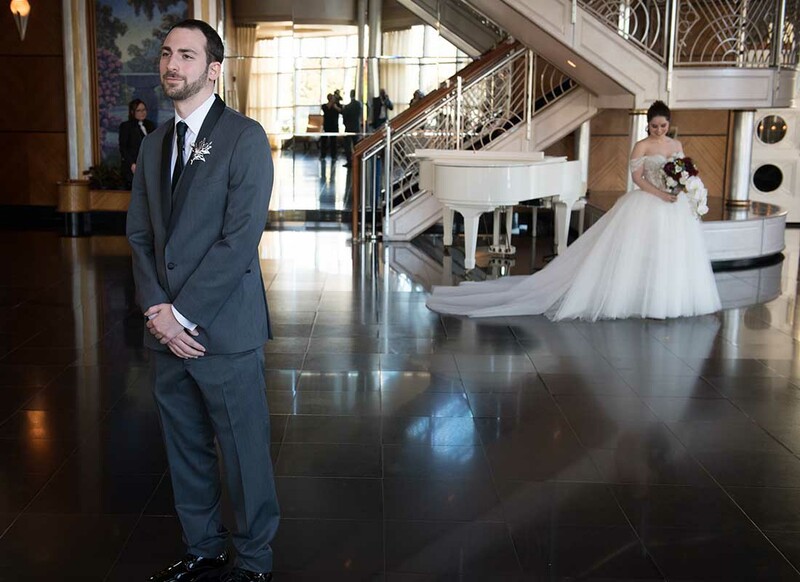 Therefore, when it came time to choose her gown to marry the love of her life, Jared Sheer, Zoey had a few ideas in mind. 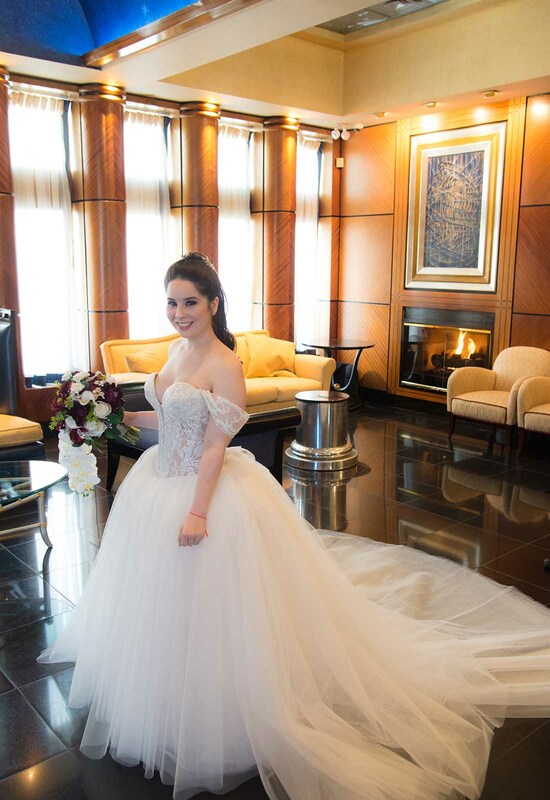 Because of her bridal background when Zoey walked down the aisle on March 11, 2018, at the Chateau Briand in Long Island, NY her dress would surpass her wildest gown dreams. Like most other brides visiting Kleinfeld Bridal Zoey made a reservation for her and a few loved ones to try on wedding dresses. 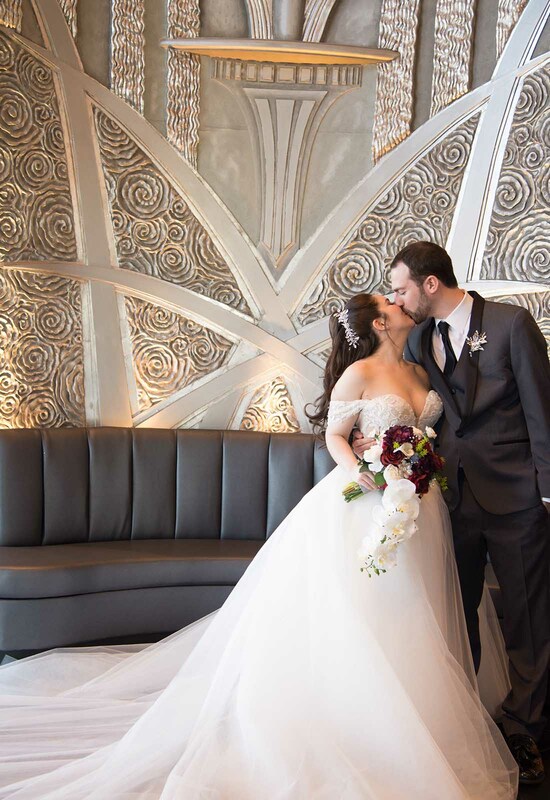 Zoey knew from the start that she wanted to wear a Pnina Tornai gown, loving the exclusivity and fit of the designer's dresses. Envisioning something extravagant and lavish, Zoey knew that the famous designer could deliver on everything that she was looking for. Initially Zoey was looking for a fitted gown with a large detachable over-skirt for the ceremony that revealed an alluring form-fitting dress underneath for the reception. 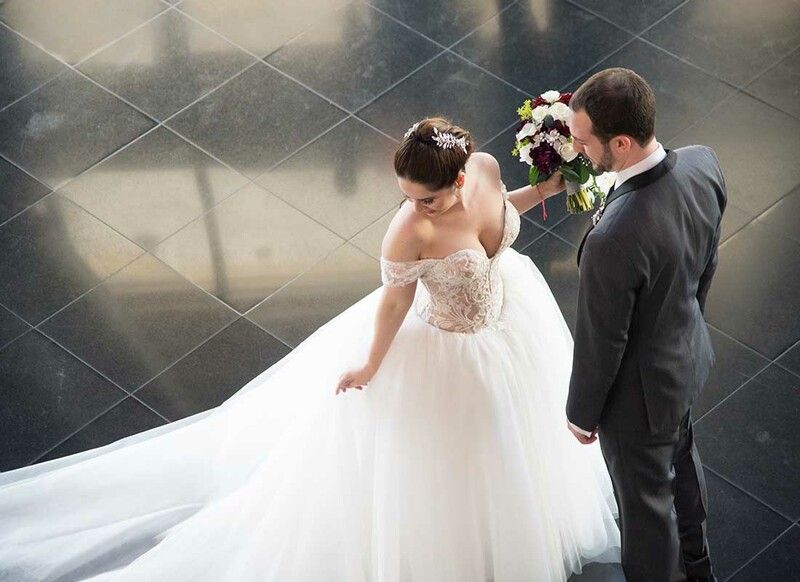 Since she worked at the bridal salon Zoey had already been into the Pnina Tornai Boutique to pick out the gowns that she wanted to try on during her appointment. Zoey's mom requested that Zoey also try on a tulle ball gown while they were there so one of those was pulled for Zoey to try on as well. It was the only ball gown that Zoey had pulled and four gowns in she was ready to try on. 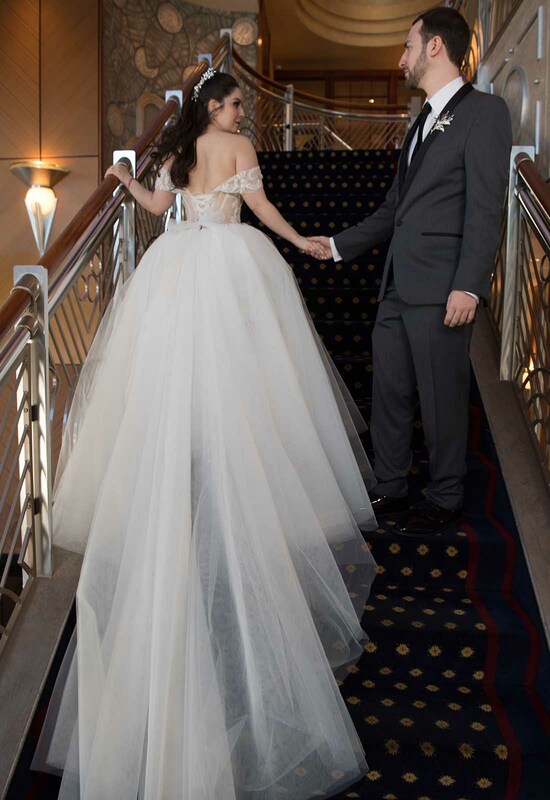 The gown that had brought Zoey to tears was a a sheer strapless and tulle Pnina Tornai ball gown with exquisite tonal beading and a long cathedral length train. Zoey was completely captivated by the gown and immediately said yes to the dress. This dress fulfilled her desire for extravagance and subtle sexiness. So much so that she scratched her original plan for a detachable skirt and went with this dress for the entire night! Zoey adored everything about her dream wedding dress. 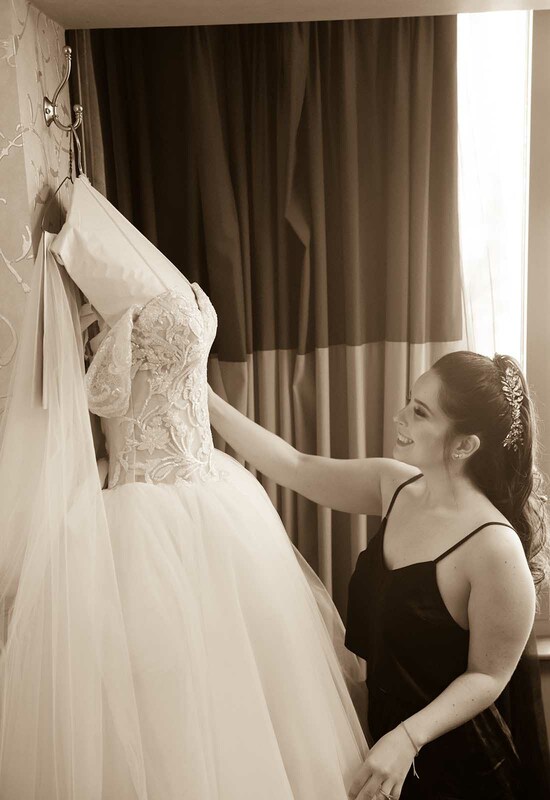 She kept the signature Pnina Tornai illusion corset unlined. The Victorian hips to the gown made her waist look perfectly cinched and the sheer tulle skirt showcased a peak at her legs. The only changes made to the gown was the deep-V neckline was shortened a bit and straps were later added to the gown with additional fabric from the gown's ethereal skirt. The tonal beading and appliques were also extended to wrap around her hips on the corset. It was completely unique, one-of-a-kind gown and Zoey was absolutely thrilled. 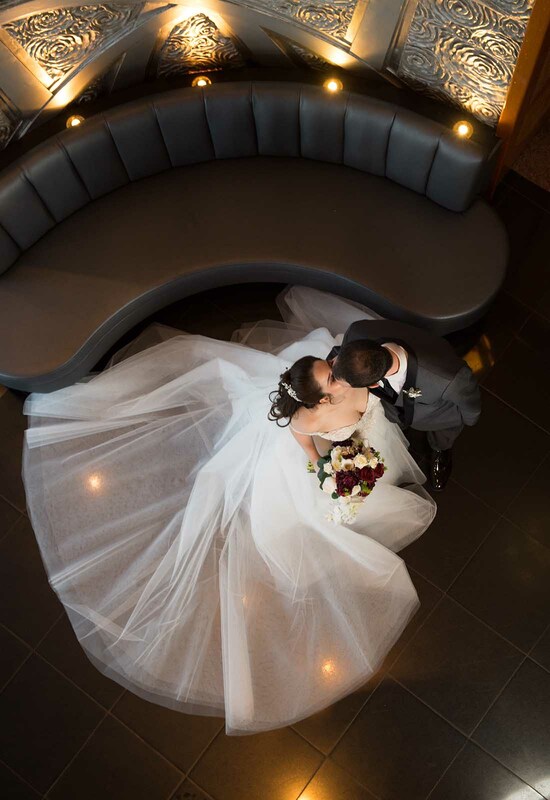 The Pnina Tornai magic didn't stop there though! 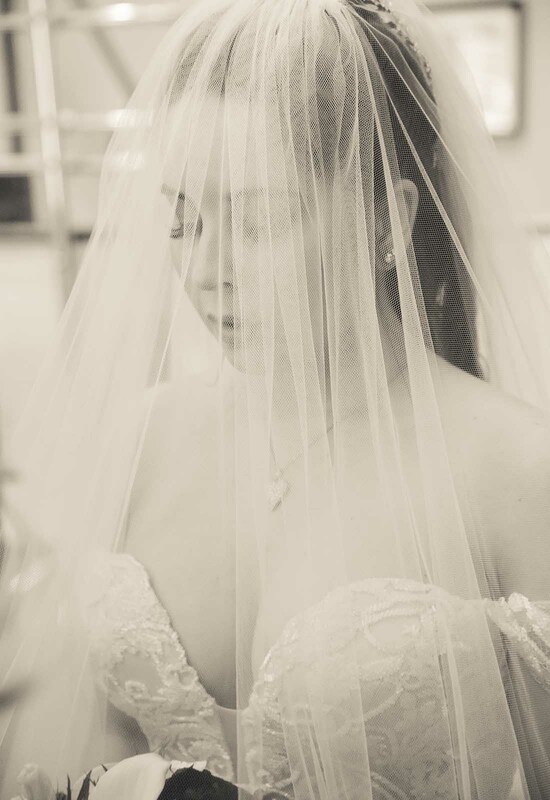 To keep her large and fabulous hair in place for her wedding day, Zoey picked out not one but two large Pnina Tornai crystal combs to wear on each side of her hair. Once in place, Zoey had an elevated ode to a mohawk wedding hairstyle that was both dramatic and retro-fabulous. 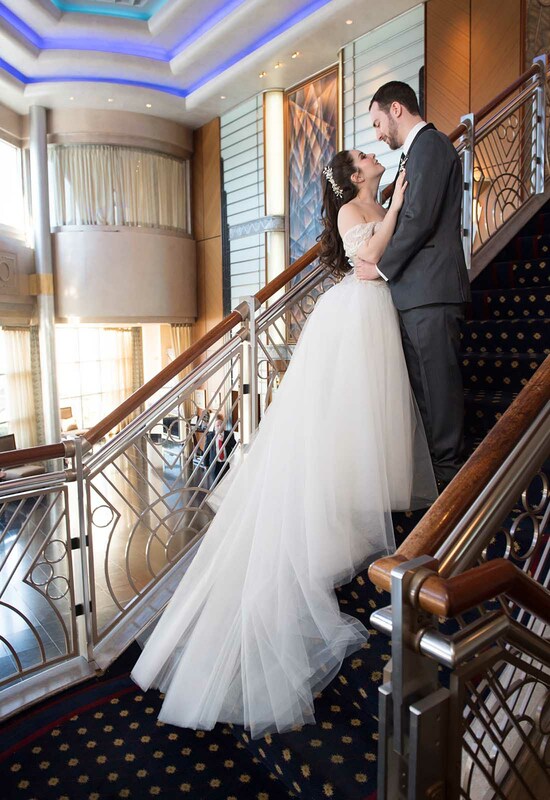 To wear as she walked down the aisle, Zoey wore a custom Pnina Tornai veil with a European blusher that made her look like your favorite romance movie bride come to life. With gigantic and fabulous hair combs in her hair Zoey kept the jewelry simple and sentimental. Her aunt and VIP maid of honor, Holly, gave her diamond studs to wear. She also wore diamond studs that her soon-to-be-husband, Jared, gave her as a gift. Lastly, she wore a diamond heart necklace that had belonged to her Grandma Bobbie. When the day finally arrived for Zoey to wed her soulmate, she had no doubt that the gown she had chosen was the perfect gown for her. The fit was extraordinary and she never wanted to take the dress off. 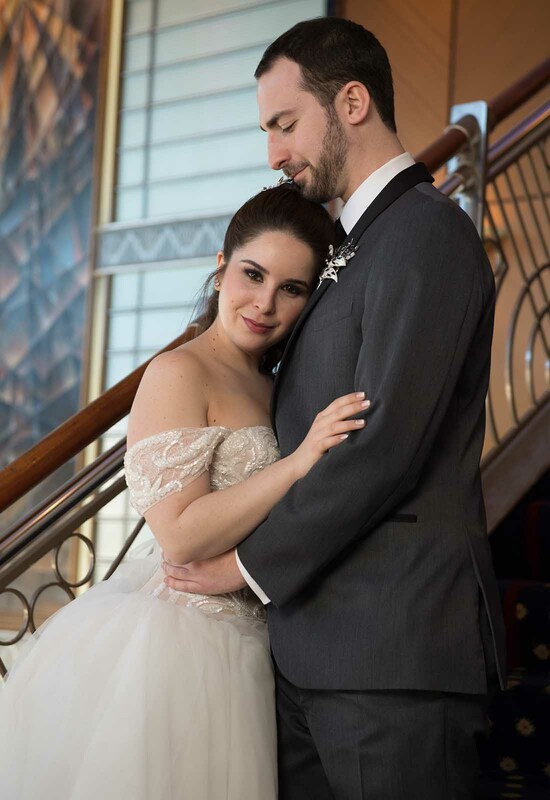 Surrounded by the most lavish black magic roses, thistles and candles, Zoey exchanged her vows and said yes to beginning the next chapter in her life of love and happiness in wondrous and luxurious style.